Post your thoughts, opinions, or comments on the current anime season. This season just started, so I am a little uncertain on what titles could be be a good watch. Anyone have any suggestions? Overall though, from what little I have seen, I am not too interested in this fall season compared to last. Right now, the final episodes of Kokoro Connect and Sword Art Online seem way more interesting than anything that happens to be coming out right now. Although I will probably be watching a little of Tonari no Kaibutsu-kun, not sure what else could be a hit or a miss at this point. Re: Fall 2012 Anime Season- Your Thoughts? Probably because this season has sequels to things I already liked, or at least one I like more than ones from last season, but I'm liking this one a lot more than last season. Those are all of my sequels? Hayate isn't even really a sequel and it's all I've watched so far out of those. K is worth it just for the animation. I'm finding most of what I watched so far pretty funny. Hayate, Chuuni, Tonari, even Sword Eyes. Good for me, this season will probably top last season for me. Even if I really dislike BTOOOM! enough to drop it, the OP caught my attention (from a PV) so... I'm about to watch it now. EDIT: Oh man, I'm sure there are people like him, that just won't get a job unless it's one they really like... but... but... Well, that was quite entertaining. The next AW/SAO. More like SAO since they seem to die when they get killed. Dawn wrote: Probably because this season has sequels to things I already liked, or at least one I like more than ones from last season, but I'm liking this one a lot more than last season. My thoughts are almost like these except I'm not watching Btooom! and I am watching Hidamari Sketch x Honeycomb. I find Joshiraku (from Summer) is kind of like Hidamari Sketch except the girls in Hidamari Sketch don't sit around (as often) and there's more characters to see in Hidamari Sketch, so it's not as boring [Joshiraku isn't that boring but there are times it doesn't really keep me interested the whole time, though there were times in 2 episodes so far that I laughed real hard (I say "so far", even though it ended because not every episode was subbed yet)]. Oh and like Dawn mentioned, Hayate isn't really a sequel, and since it's pretty good so far I'd suggest checking it out. I'll have to watch more of others, and at least the first episode of Little Busters! before recommending them (even though you already said you weren't that interested in Little Busters!). EDIT: p.s. (since I forgot to put this somewhere in my post) Zetsuen no Tempest also had a pretty good first episode but like I said I'll watch more first. I liked the first episode better than K, though, even though I was expecting K to be super epic. For the first episode of K I pretty much only liked the animation (something that Dawn mentioned) but it's just getting started, so I'll still have to see. Little Busters! : Pretty faithful, from what I can tell, and as long as it's this good for me, the animation isn't so much of a problem, and isn't that bad anyway. Onii-chan Dakedo Ai Sae Areba Kankeinai yo ne: ... The sister is a lot cuter than I thought see would be... Well, it was pretty watchable. I wanted that add that, after watching the first episode of Sakurasou no Pet na Kanojo, I felt it was quite good, and hilarious to boot. It has a lot of similarities with Chuunibyou demo Koi ga Shitai! come to think of it. "Helpless girl", protagonist taking care of them, that sort of deal. Atleast to my tastes, I feel Sakurasou no Pet Kanojo is my favorite anime thus far this season, it was quite hilarious. Atleast compared to Chuunibyou demo Koi ga Shitai! I found myself laughing actually, and it managed to hold my attention without a dull moment. Though I admit the beginning started off kind of shaky, it definitely picked up near the end. The helpless blond girl from Sakurasou no Pet na Kanojo reminds me of...Michiru Morishita from Love, Elections and Chocolate, which aired recently. Except the former speaks a tiny bit more. Still have comparable mental states, and their voice actress even sounds similar, which is how I drew the connection. Kokoro Connect sadly doesn't finish until early next year...talk about a cliffhanger.. Things like Hidamari Sketch x Honeycomb and Robotics;Notes I have not checked out yet so they may be good. If anyone is willing to chime in on that, as well as any other anime we haven't discussed yet. Ok Yuu did comment on Honeycomb, I may check that out later. To my tastes, Little Busters! (episode 1 of course (just so random though), it shouldn't exactly stay that way) was a far greater comedy than Chuunibyo and Chununibyo (though this has the most so far, 2 episodes and 3 shorts) was a far greater comedy than Sakurasou. I feel as though even with better animation (than Little Busters) it didn't do much for me, but I did like it. Was going to try Robotics;Notes and Chousoku Henkei Gyrozetter but, I think I have enough anime that I am going to continue to watch. 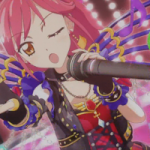 Seems like I can wait for subs that are easier on the eyes from now on for Aikatsu. I found it to be nice, but it also looks to be worse than most idol anime/card anime. I tried out Robotics;Notes ( ) and for me it was really cool. I guess there is no way it is remarkable in any way but I enjoy things like that too. I figured out that I'm really interested in Shinsekai Yori now. I find it to be something that doesn't make a whole lot of sense unless it somehow just does. It is really really, really freaky, but not scary at all. At least, not from these first 4 episodes for me. I wrote something up about Code:Breaker in another site, so I'll just take that and put it here, lol. This turned out to be a decent show. What I said about the first episode really was "Code Breaker is hilarious. By that, I mean I'm not sure I should continue watching it." It is by no means supposed to be hilarious, and the scenes that were supposed to by funny were just awkward, but that got slightly better later on, I could have a few laughs and take the story seriously. I've grown to like some of the characters, mostly the Code:Breakers, but all 6 of them, instead of just Yuuki (I still mostly just care about him though). So... I watched BTOOOM!, and all I can say is that is isn't worth watching unless there is a continuation. It just stops, and I checked the manga's latest chapters available, and it seems they just caught up before ending the anime. It would have been pretty good if they waited for the manga to end, I think. I seriously don't get it. I find this to be practically the same as anything else Hayate, except of course the art (Well not really, the manga has very similar art right now). It has mostly original content, the same could be said for season 1. It is a shorter anime than the other Hayate anime, the same could be said about season 2. It brought with it some good laughs, even though other people don't seem to be having the same reaction, but otherwise, it actually does seem to have a great deal of similarity to everything else Hayate, and I really enjoyed it. I really could have a lot more to say, personally this is my favorite season since a while. Well really I just got into watching a few of the current season last winter, and kind of picked up from there. I do have less to watch this current winter season than this season, at least... but that isn't counting continuations. Anyway, Little Busters! honestly did stay my favorite of the season, even though compared to the ending of the visual novel (I've heard) nothing really happened. I don't know why, but I guess the humor really is my thing, and I can't believe I cried during the Komari arc when she is apparently the worst heroine. She isn't my least favorite character, and I like all of them. Well okay, I can't wait for more. Anyway, as for Hayate, I kind of thought it was interesting that they made it shorter than the first 2, and enjoyed it because it felt more like it was currently airing when it did, but I feel like I could enjoy it more if there was more of it a well. There's no need to worry about that because I'll only have to wait for the upcoming Hayate anime for more. My thoughts about Code:Breaker, it's pretty much I would read the manga now, but I think it's a waste of time not because there are things I'd rather read, but because I think they did an absolutely perfect job with the ending of the anime. I'm just going to wait and see if there's a second season but I really don't mind it ending there. Marvelous job. I really can't believe I forgot this yesterday or anything. Robotics;Notes is not realistic in it's setting or anything. After all, there is no way of knowing how the future will be like, and this is definitely fiction I'd think, as it isn't that far from now. But it is realistic in one thing... now matter how much time passes, technology will always advance... and I loved every episode so far. I don't know what the second half has in store, and it looks like it's going to get really serious from a PV it showed, but I like the slow pace it has been having very much, and the Robotics club has some very nice members. Haha...three's a crowd. Besides, I like small nit places like this. Appreciate your support! Robotic Notes; Yeah, it has some supernatural fixed in. Some slice of life, though I suppose if supernatural and fantasy is not your thing, you may be turned off a little as I was. Despite that I was already in the middle of the series so I continued watching. Well...not much to say about the show as a whole, except that it didn't really leave much of an impact on me. However I did stop at Episode 11 or so, I'm sure I finish it up later.